What’s the most common piece of advice when it comes to online business? Let’s see if this sounds familiar. See what else is out there, and create something 10x better. And while creating the best / most helpful / most shareable / most awesomely epic 10x content ever is supposedly the golden ticket, I thought I’d put this advice to the test and share some results from a recent attempt at “epic-ness” of mine. Does it really work? Is it worth the effort? Spoiler alert: I think it is, especially when compared with the alternative of cluttering the interwebs with mediocre content and getting nowhere with it. One thing to keep in mind: Content marketing isn’t “free” — it takes time both on the content creation side and on the marketing side. The creation process and costs involved. The marketing effort I put behind the post once it was published. The traffic results the post has achieved so far. How the post performed in terms of driving email sign-ups. Don’t have a blog of your own yet? Check out my free course on how to quickly and affordably start your own blog. The idea for this post actually came before the podcast I did with Glenn Carter, on Profit Stacking in the Sharing Economy. I was frustrated I could find a good definitive monster list of sharing economy companies, but my spidey-sense tingled that it meant an opportunity to build it. The research was the most challenging part, and I procrastinated on it for weeks because it was an overwhelming task. Of course there were a few of the companies I was familiar with, but the majority of those listed were new to me. An Airbnb for boats? Makes sense but I’d never thought of it before. Breaking it down by sections was helpful and seemed to never-endingness of the project. A couple Side Hustle Nation readers even reached out with help and sent me a few lists — thanks! 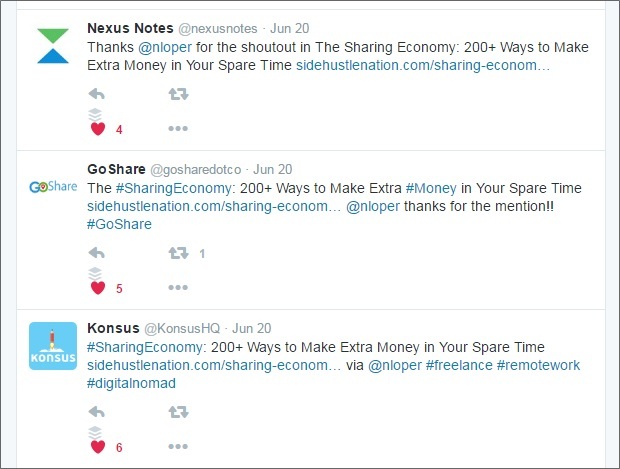 I scoured dozens of lists and sharing economy articles, and even tried specific keyword searches to try and build out certain sections. Like, “sharing economy [lawyers]” or “Etsy alternatives”. Many of the companies I did find were out of business or seemed to have very little traction. Eventually I came across a site called Mesh, which billed itself as “the pulse of the sharing economy.” Mesh had hundreds of listings, but the problem was there were a TON of irrelevant companies that really didn’t have a peer-to-peer element — and the site hadn’t been updated since 2013 (at least according to their copyright date). Note: Make sure the copyright date at the bottom of your site is current. Go set a calendar reminder for January 1st. I’ll wait. OK, done? If you’re wondering, why didn’t I have a virtual assistant help with this, I did. I tasked my dedicated assistant at OkayRelax.com to comb through the Mesh listings and filter out the ones that met our criteria. We tracked these in a shared Google Doc. It was during this time I realized why this asset didn’t exist anywhere online yet: it was a giant undertaking! I estimate the research phase took at least 10 hours on my part, and probably another 10 by my VA, Karla. So as you’ve probably guessed, I didn’t sit down with a Red Bull and bang this post out in a couple hours. I wrote it in sections, in fits and spurts, formatting, linking, adding images, and registering for the different services as I went. Side note: I can’t be the only one who hates the new in-line linking in WordPress. It takes 3x as many clicks to add a link that opens in a new tab! I hit save on that thing 109 times (so far). It topped out at over 7500 words. And yes, Yoast telling me the readability “needs improvement” still burns a little! I estimate this took another 30 hours. A lot of that time was actually spent in diving a little deeper into some of the companies listed, and checking to see if they had affiliate or referral programs I could join (more on that below). 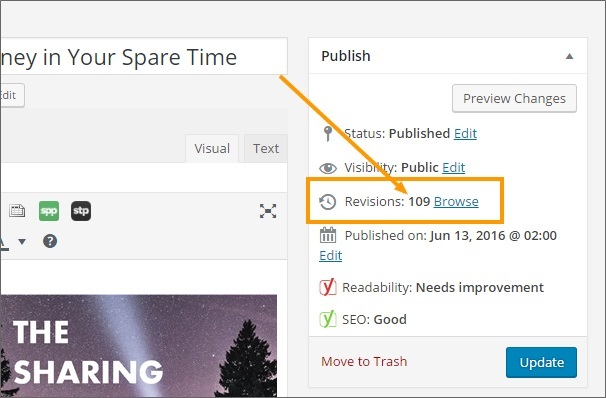 As you’ve seen, the marketing starts with the content itself, but the next step was figuring out a shareable yet still SEO-friendly title for the post. What keywords should I target? I turned to my trusty friend, the Google Keyword Planner, and fed in some potential terms like “sharing economy”, “gig economy”, and “uber economy”. After all, ignoring Google as a traffic source is just plain dumb, and your post title is the most important on-page ranking factor. 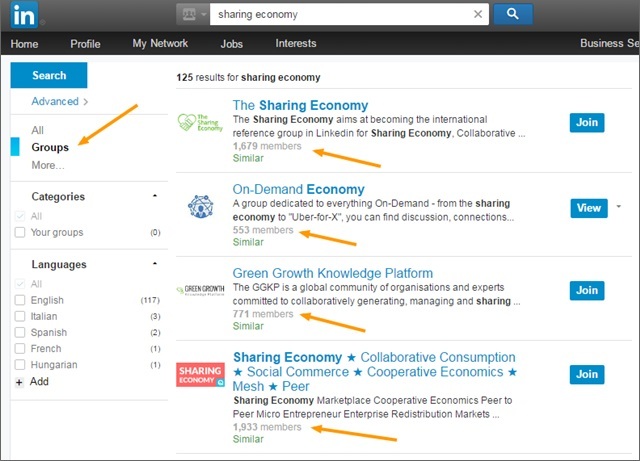 I was surprised to see both “sharing economy” and “gig economy” receive the same number of monthly searches in Google, but I decided to go with “sharing economy”. If my post could eventually pick up even a fraction of those 6600 searchers a month, that would be a nice win. Turns out, that doesn’t appear to be happening. I scrolled through the first 20 pages of Google results for that term, and my post was nowhere to be found. Still, I think it’s a good idea to keep SEO in mind when naming your posts and the post is generating some healthy search engine traffic — just not for the keyword I thought it would. More on that in the results section below. 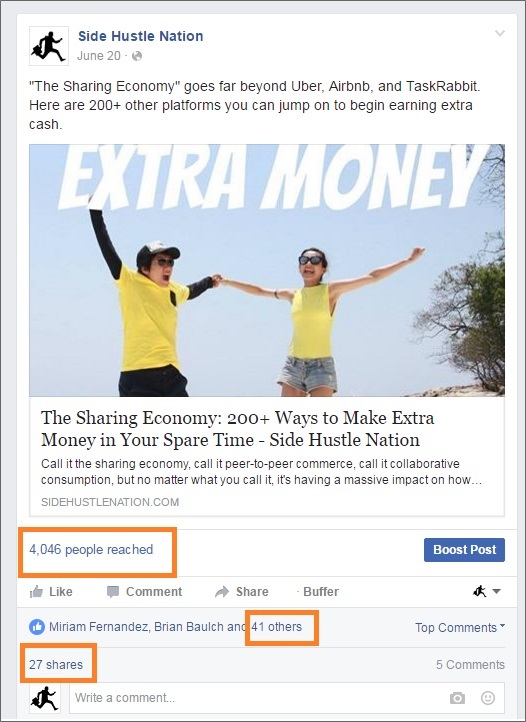 The primary marketing strategy for this post was simply reaching out to the companies mentioned, and letting them know they’d been featured. Nearly every company had a press link in the footer of their website, and barring that, a contact form. Just a quick note to let you know I featured Zazzle today in a massive collection of cool peer-to-peer commerce platforms. Curious, do you have any artist case studies you can share of people who are doing really well on the platform? I’m considering doing a follow-up and would love to include a success story or two. Moral of the story? Link to other people in your posts! The other email outreach I did was to send a note to J. Money over at Rockstar Finance, a popular site and newsletter that curates the best of the best articles in the personal finance space. I’m grateful to have been featured there a few times in the past, and it’s always a big traffic spike. This time was no exception, and represents the tallest traffic day over the last 3 months. Student Loan Hero also picked this up and sent an email to their list, but that was without any of my prompting. I posted the article on my various social media channels, including Twitter, Facebook, Google+, LinkedIn, and Pinterest. One thing I could have done but didn’t was look for relevant LinkedIn groups to share this post with. It’s a little delicate because I wouldn’t want to come across as spammy so I’d have to take a look around and see what the group dynamic is like — instead of dropping my link and going on my merry way. I was quite proud of the Pinterest pin I made for the post, though it hasn’t performed as well as some of my other pins. The image came from Pexels.com and I did the text in PicMonkey. 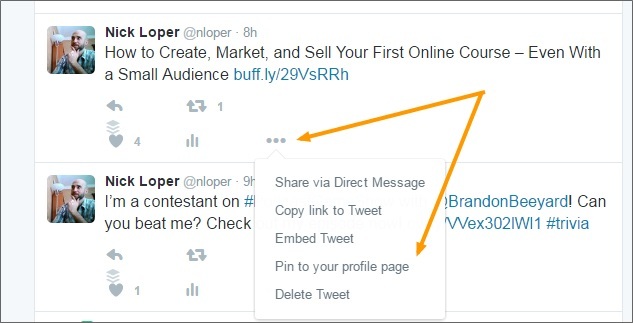 A pinned tweet is a “sticky” post that stays at the top of your Twitter profile until you remove it. After your bio, it’s often the first thing that new users see. So I set up my pinned tweet — yes, I’m sure I could better optimize the image — and I’m already seeing people engage with it and retweet it. I added a link to the post from the sharing economy podcast episode I did with Glenn, since I mentioned creating the resource at the end of the call. 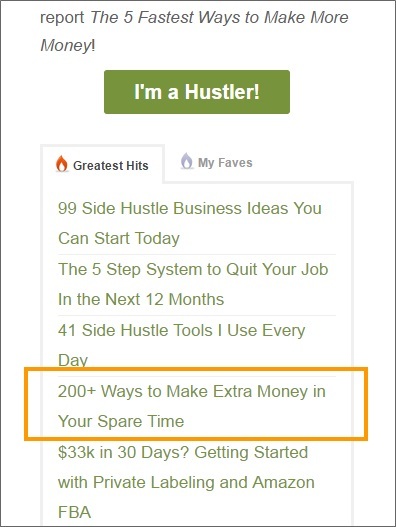 Of course I sent out an email to my list about the post as well, and the subject line “200+ ways to make money in your spare time” performed pretty well. So did all that marketing effort add up to some solid traffic results? Read on to find out. In the 5 and a half weeks since the original article was published, it’s generated over 24,000 pageviews with users spending more than 6 minutes on the site–double the Side Hustle Nation average. Now 24,000 pageviews probably is a meaningless number to you, so it might make more sense to compare this post to the “average” SHN post. The Most Important Number You Won’t Find on Your Tax Return – 500 pageviews [solo post] … ugh I was so proud of this one! Earlier I’d mentioned I’d hoped the post would begin to pick up some organic traffic from Google, and according to my Analytics Google has referred around 1000 people to the post so far. However, the report also shows that only 20% of those people are new users, which I interpret to mean that people who are already familiar with the site are looking for the post directly in Google. The Google Search Console says only 222 people have found that page in a search query and clicked on it. I’m not sure why the two Google systems would report such dramatically different results. Any ideas? But did the post make any money?? Cha-ching! Now most of the content on this site–and this is true for most blogs–is not monetized directly. 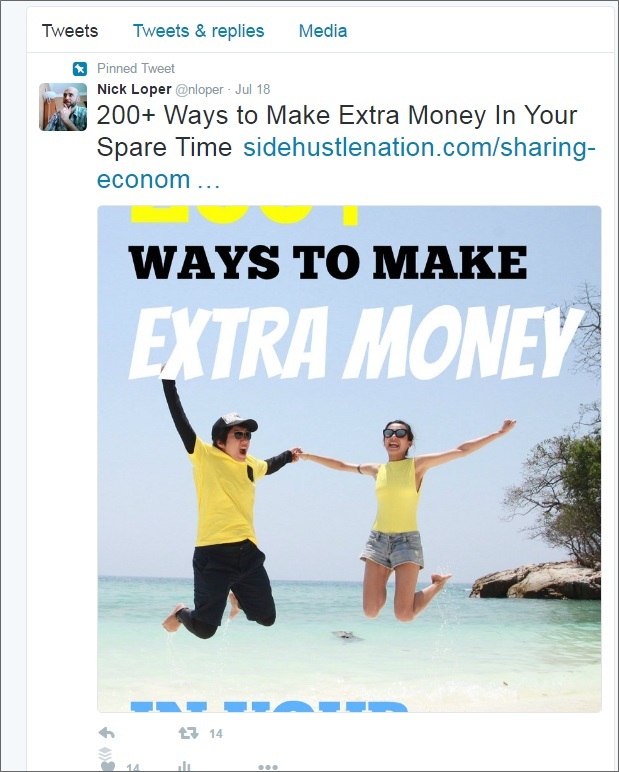 The Udemy post listed above is an exception to that rule, as it was one giant collection of affiliate links. The “200+ Ways” post did have several affiliate links included, and I’m happy to report those DID bring in some revenue. I mean, with 200 different companies, some of them must have affiliate programs, right? If you read this income report, and go back to check the original post, you’ll notice I strategically tried to more prominently feature the companies with affiliate or referral programs. Here’s what the post has earned so far. Some of the referral programs only pay in app credits. So that’s nearly $900 worth of cash and prizes so far and the numbers will continue to climb as more people discover the post. Another measure of content’s effectiveness is how many new subscribers it generates. In this case, it’s hard to get exact numbers because there are several ways to opt-in once someone lands on that page. But for the “200+ Ways” post, because it was so long and I hoped it would generate a lot of traffic, I created a content upgrade specifically for it. Did you catch it? 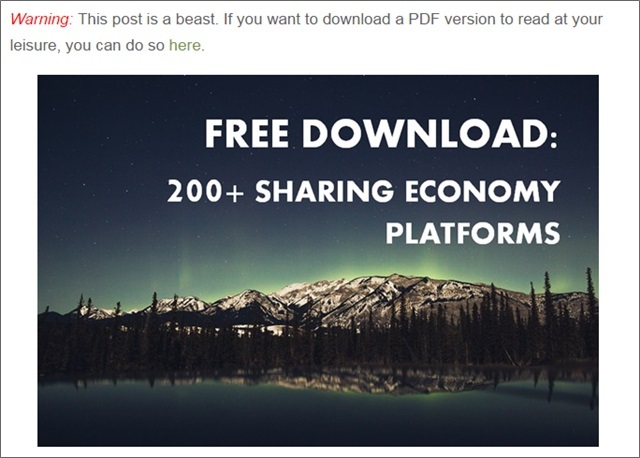 I added another call to action to download the PDF at the bottom of the post. Did it work? Now I could sit here and tell you that this ONE post added 780 new people to my email list, but I’d by lying. A decent percentage of those were already subscribed. Worth it? I think so. Plus those numbers will continue to climb as this pillar piece of content matures and collects more traffic. And the next exciting piece is the post has inspired a new book project. Stay tuned for more info on that in the coming weeks and months! 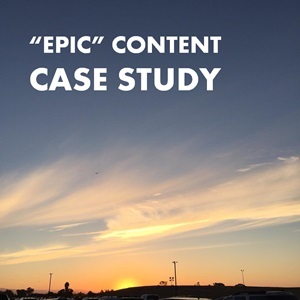 What happens when you create “epic” content? I think the more pressing question is what happens when you don’t. 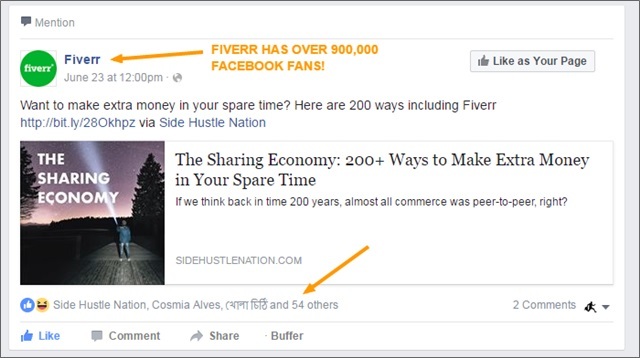 Great tips and suggestions for getting traffic to a post! Keep up the good work! I am really impressed with your blog. Every night I read few diffrent post. I love online income streams the more the better. My top stream is Clixsense ive consistly made nice yearly amount sense 2008 for free. Thanks Latoya! Feel free to circle back and post yours here and let us know how it worked. Thanks Andrew — that could be a big time-saver. The new inline linking is really cramping my style! Yep, hate that new WordPress linking tool! Great write up Nick and good to hear your work paid off! Do you have any insights you can share about mobile vs desktop for the piece? eg Av Time on Page / Goal Completion %. In any case, thanks for the info – helpful as always! Thanks Chris. Looks like the traffic was split roughly 48%/44%/7% desktop/mobile/tablet. Mobile users spent more than a minute longer on the page on average. I’m having a hard time drilling down to see the goal completion % between the different devices though. Know how to pull that up in Analytics? You should see the breakdown for desktop vs mobile vs tablet including ‘Bounce Rate’, ‘Av Session Duration’, ‘% of Goal Completions’ and other handy info. Cool, thanks for that! Desktop traffic converted 2x better (5.2%) than mobile (2.5%). Glad to help & thanks for the insights! Just a quick note to let you know I featured Side Hustle Nation in a HAWT (hot) new Skillshare class that has over 1,000 engaged students. Very cool Franki! Excited for you! I love case studies because I always learn so much from them! Thank you so much for taking the time to write this one! It’s great to see actual numbers attached to hard work (in this case, yours) because it motivates me to work even harder to make things happen! Hustle baby! PS: It would be very cool to update this in 6 or 12 months and tell us how these numbers have changes (how many subscribers, how much money you’ve made from the post and so on). great info man. I remember reading this a year ago, and just reread it again today. Means alot more now that I’m in the “game” myself. Cheers! You have provided great information. I enjoyed reading your post. It was very educative and informational. Thank you for sharing this. You have provided great information. Thank you so much for laying it all out step by step.